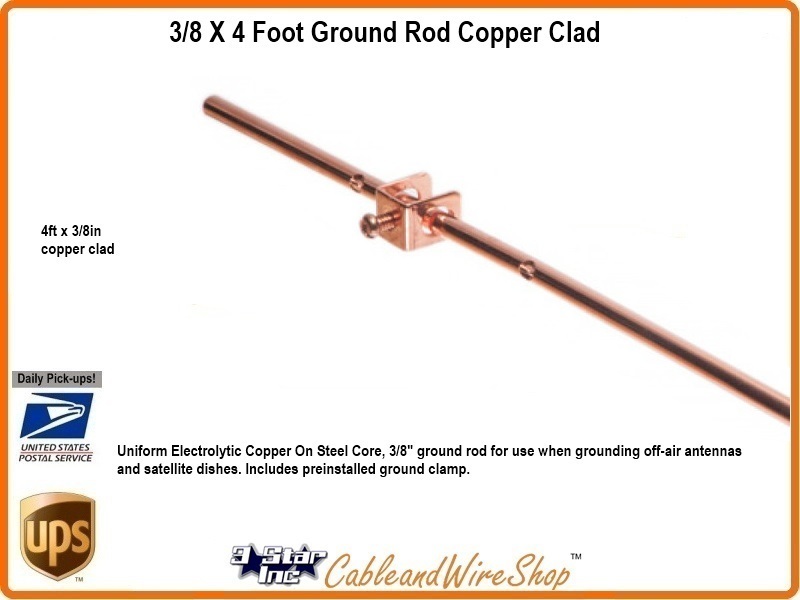 Uniform Electrolytic Copper On Steel Core, 3/8" ground rod for use whengrounding off-air antennas and satellite dishes. Includes preinstalled ground clamp. Note: We provide this ground rod as a convenience, as 3/8 inch, 4 ft. ground rods are not recognized by the NEC. We would suggest a 5/8" 8 foot ground rod for keeping within the recommondation.